Bitcoin transactional volume dropped precipitously this week, with a near 96% drop far surpassing the decline in price, which currently stands at $96.00. 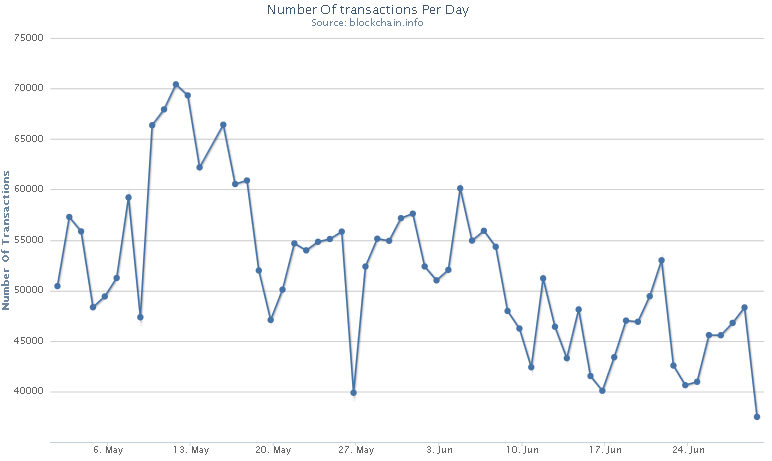 The data from blockchain.info doesn’t show the transactional volume ever falling below 40,000 in a day, but there is nonetheless nearly a 50% drop over 50 days. Bitcoin briefly traded below $90 on some exchanges at intraday lows Friday. Nevertheless, the current price appears remarkably stable in the face of this large decline in transactions. Summer in the Northern Hemisphere brings on a very slow period in trading, and Mt. Gox set the pace with the recent withdrawal freeze on USD. 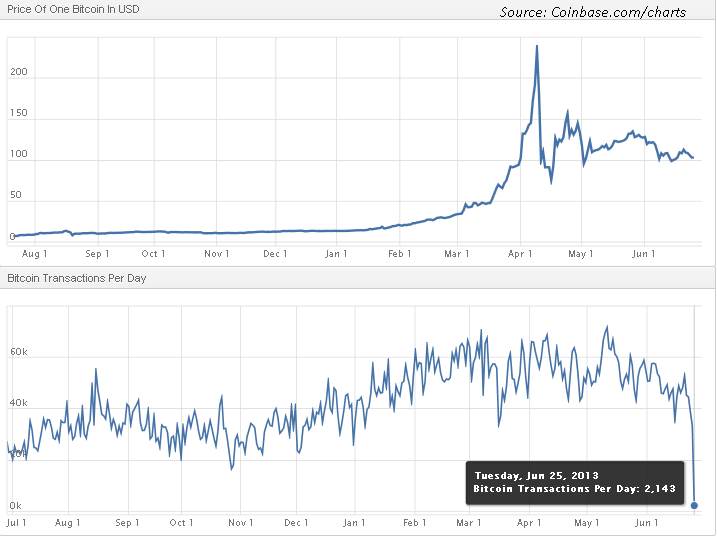 Without speculating further on the reasons, Bitcoin’s function as a transaction medium remains a prerequisite to its value, so this is an indicator to watch.